Disillusioned youth Masahiro Setagawa gets into lots of trouble after his peers encourage him to join a gang, and the other gang members bully and treat him like their errand boy. He nearly reaches his breaking point until a street fighter and teacher named Kousuke Ooshiba (known as the “Bear Killer”) steps in and defends him. As the two get close, they start to fall in love. Meanwhile, Setagawa’s best friend starts falling for the most popular boy at school — will it end it romance or just drama? This is rom-com and a coming of age tale follows Izumi Sena, a college student who wants to be a manga artist. Unfortunately, he’s not very good at drawing, and surrounded by his talented older brother, his actress mother and his business-minded father, Sena feels pressured to excel. The pressure begins to build when he realizes that he has feelings for Ryoma, a handsome actor who he knew as a child. The only problem is that Sena isn’t sure if Ryoma shares his feelings, or if he can even tell him. Yagate Kimi ni Naru (Bloom Into You). When freshman high schooler Yuu Koito sees student council president, Touko Nanami, turn down a romantic offer, Nanami confides to Koito that she has never felt any serious emotional attraction to boys. 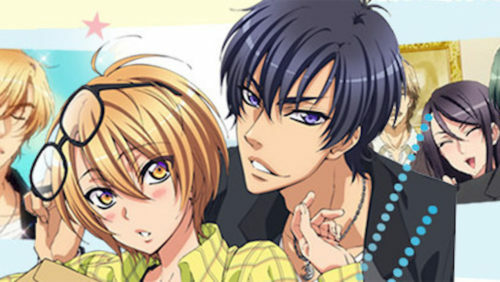 But as their friendship matures, Nanami realizes that she might be falling in love with Koito.